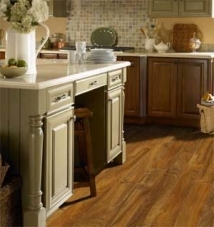 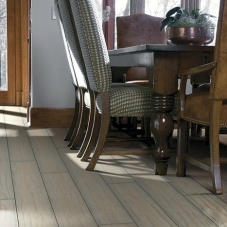 Shaw Laminate boasts incredible resiliency for ease of mind living, these laminates blanket the home with options ranging from classic domestic woods to more exclusive, exotic options, sand even high-end quarried stone. 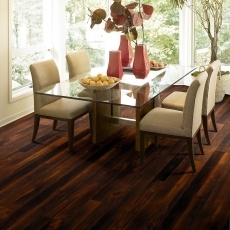 Ensuring a product that will last, Shaw implemented high gloss finishes for continual shine and resistance to stains, scuffs and wearing. 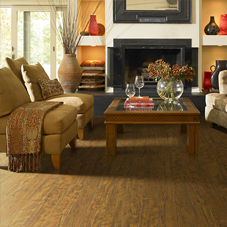 Offering a multitude of diversity to customize the home, Shaw Laminate flooring matches their trusted strength with exceptional realism. Integrating rich intermixing hues to bring depth and life to every square inch, certain collections boast touchable textures for immense authenticity. 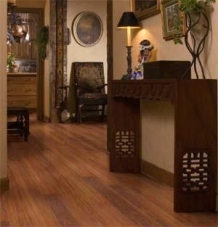 Never faulting to bring you eye-catching beauty, the drama of these floors creates a lively display that brilliantly turns any house into a home. 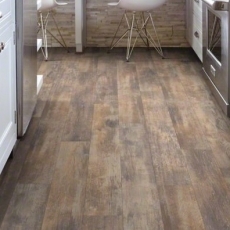 With high-impact style, these multi-layer floors go above and beyond what other floors can’t, blending style with functionality. 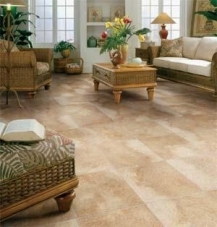 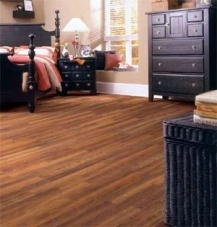 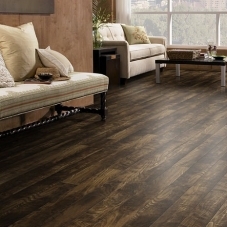 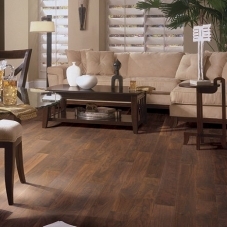 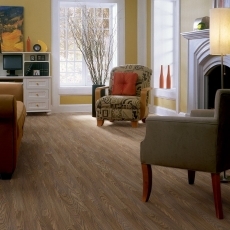 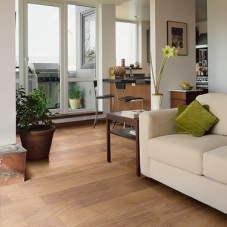 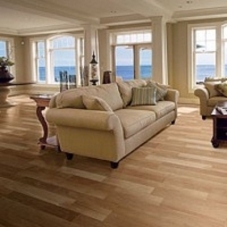 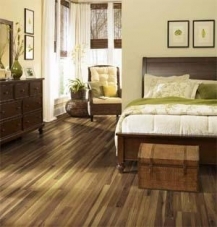 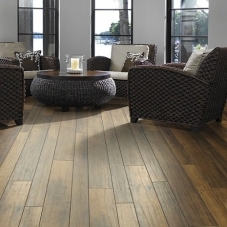 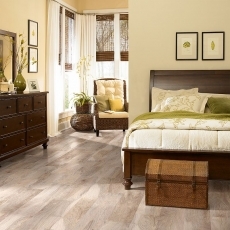 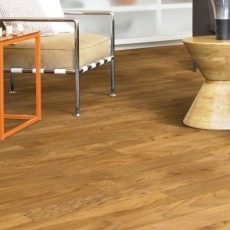 Likewise a sustainable alternative that never requires refinishing, these floors are easy to install. 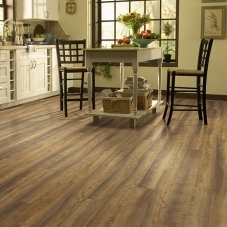 With simple click application methods, bring the beauty of Shaw Laminates to any room ranging from the entryway to the kitchen, bedroom and bathroom. 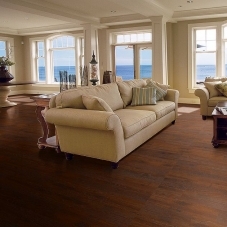 Widely loved for its classic replication of maple, the sophisticated Shaw Left Bank is perfect for creating comfort with high-class style. 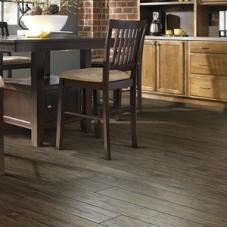 Likewise playing with the organic beauty of hardwood, Shaw Rustic Expression offers a more traditional take with detailing of handcrafted accents for a time-worn appeal. 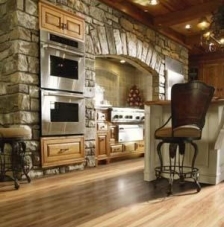 Achieving the opulence of natural stone, Majestic Grandeur takes after its name brining full-scale beauty to the home with the decadent style of natural stone. 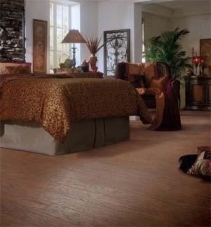 A diverse selection of laminates boasting the trusted stamp of approval by Shaw, there is surely a choice that will suit your flooring needs and more.